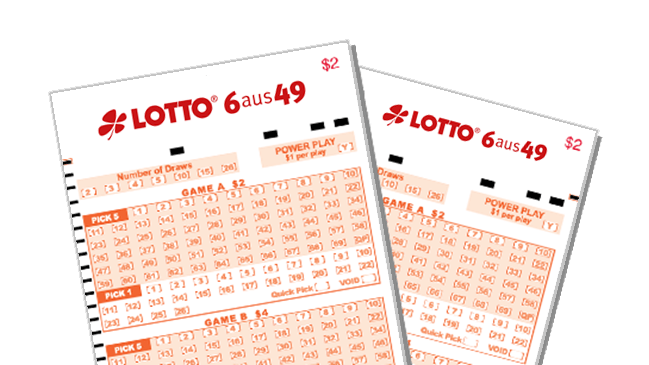 The German Lotto 6 aus 49 is popular all around the world. After all, this lottery does quite frequently turn players into millionaires. It never takes too long for the jackpot to drop, after which another (couple of) million euros goes to a new winner. Yet for the German Lotto, it is certainly not all about the jackpot. The remaining cash prizes are higher than for most other European lotteries, which makes it very attractive to occasionally purchase a lottery ticket. After all, with the help of online lottery services such as theLotter and Lottosend, you can take part in your favourite lottery from the comfort of your own home. Germans are really keen to hold on to their traditions. Therefore, it is not at all surprising that the German Lotto has been played since 1955. In those 60 years, this lottery has grown out to be one of the most popular in the country. Millions of Germans have at least purchased a lottery ticket once in their life, so that they could try their luck. And since the arrival of online intermediaries such as theLotter, lottery enthusiasts from all over the world can take part. Since 1974, the German Lotto is a part of the DLTB (Deutsche Lotto und Totoblock). This is some kind of conglomerate in which 16 different lotteries from all around the country are united. Those do in fact organise the German Lotto together, although the leadership role is taken on by another lottery every three years. This really is a game that belongs to the whole of Germany – and perhaps secretly far outside it as well. The name of the German Lotto is officially followed by the addition ‘6 aus 49’. Thus, you do not need a lot of imagination to figure out what the basic rules of the game are. The lottery ticket contains (as you might expect) numbers between 1 and 49. 6 balls will drop from the lottery machine, and the ultimate goal is obviously to have all of those winning numbers on your lottery ticket. Yet the name German Lotto 6 aus 49 does not quite cover the game as a whole. There is actually another part of the game, called the Superzahl, or the Super number. This is the extra number that you have to fill out on the lottery ticket. You can choose any number between 0 and 9, of which you eventually get to choose one. The Superzahl is still a relatively new phenomenon in the German Lotto. It was only introduced to the game during the draw of May 4, 2013. And this is quite remarkable for a lottery that prides itself on its own traditions. Yet the change is not as drastic as it sounds. For quite some time, there has already been an extra ball in the game that influences its outcome. The Superzahl was, in fact, not the only change. At the same time that it was added to the game, an extra prize category was added to the German Lotto. This was great news for you, as a player, as these adaptations led to even better odds of winning. The draw of the German Lotto takes place twice per week. Do you have a lottery ticket and would you want to know right away if and what you won? Then make sure that you are ready on Wednesdays at 6.25 pm and on Saturdays at 7.25 pm. After all, this is the moment that you (together with all those other gambling enthusiasts) have a shot at winning the jackpot. By default, the jackpot of the German Lotto starts at 1 million euros. Just like for every other lottery, this amount will only increase if the jackpot does not drop during the draw. For the German Lotto, the jackpot usually drops quicker than for other big lotteries. Therefore, you never have to wait long before yet another new millionaire is added to the long list of winners. You will probably already be very happy if you win the jackpot and get your hands on the minimum amount of 1 million euros. Yet despite this jackpot dropping fairly often, there have been cases in the past decade where amounts of several tens of millions were paid out. In 2006, a 41-year-old nurse took off with the grand prize of 37.7 million euros. This record breaking amount was broken just one year later. This jackpot of 45.4 million euro did, however, have to be shared between three winners, all of which took part using the same number sequence. Thus, there are definitely great prizes to be won with a lottery ticket of the German Lotto. For foreign lotteries, it is often difficult to witness the draw in real time. Which is a shame, because this is exactly what makes the game exciting. What could possibly be better than having selected your numbers, sitting in front of the television with your lottery ticket in hand and subsequently witnessing the balls drop one by one? Especially after getting the first and the second ball right, the tension will rise very quickly. Perhaps you will be the next person to become a millionaire after taking part in a lottery. The best part of the German Lotto is that this lottery does offer that complete gambling experience. Even if you cannot receive German tv (the draw is broadcast on the ZDF), it is possible to witness the balls drop in real time. Every draw that took place after July 3, 2013 could be witnessed through a livestream on the website of the German Lotto. Did you tune in too late? The footage will remain on the website (as well as on Youtube), so that you can feel the excitement of the lottery at any moment you want. The only thing left for you to do is to purchase a lottery ticket and start hoping that the German Lotto will be your lucky lottery. Ready to win the Lotto 6 aus 49? The German Lotto Lotto 6 aus 49 is the biggest and most popular lottery of Germany. With TheLotter you can easily take part in the German Lotto using online lottery tickets, allowing you to win amazing prizes! Would you like to try it sometime? Click on the link below and take part in Lotto 6 aus 49. Get your Lotto 6 aus 49 tickets here!